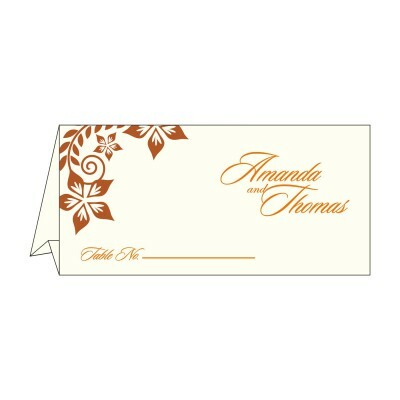 Size: 6.25 " X 6.25 "
Delivery: Standard Delivery charges apply. 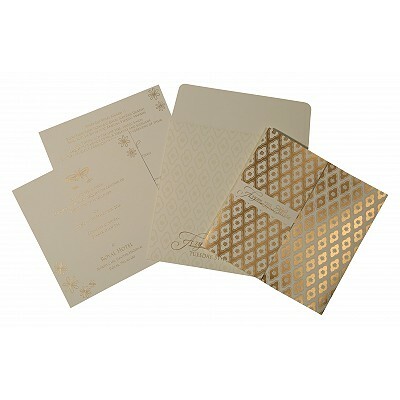 Whether simple or intricate, laser cutting is sure to wow any guest with the shapes and details you can only achieve with this method. 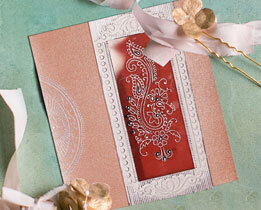 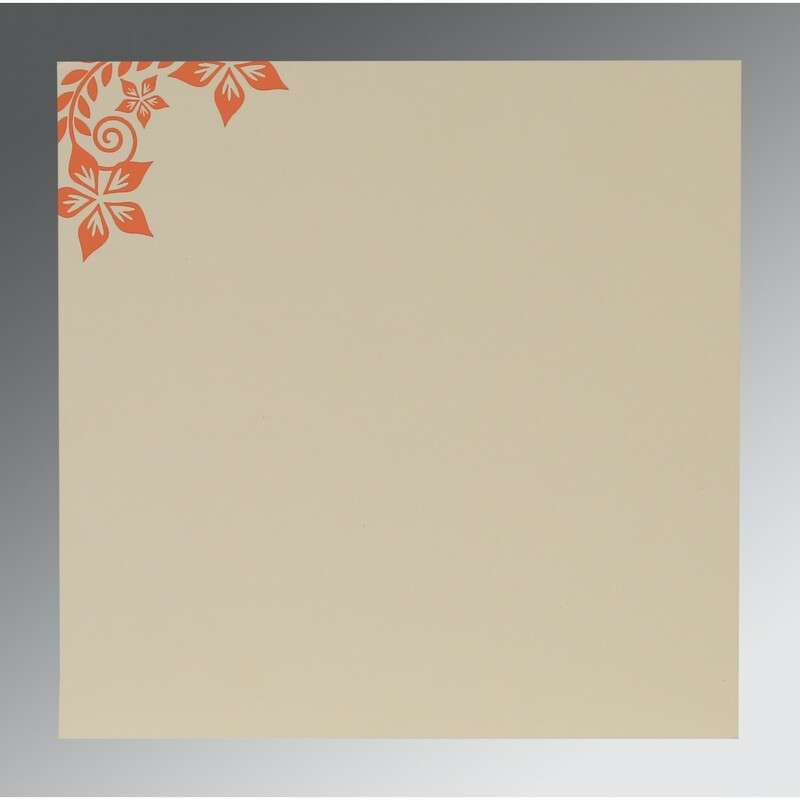 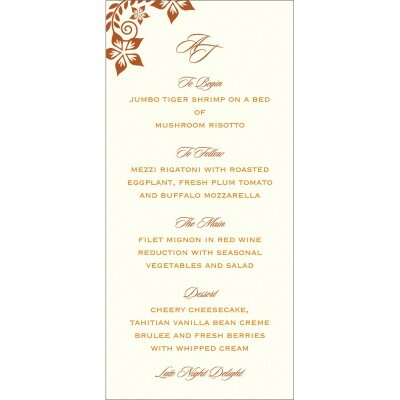 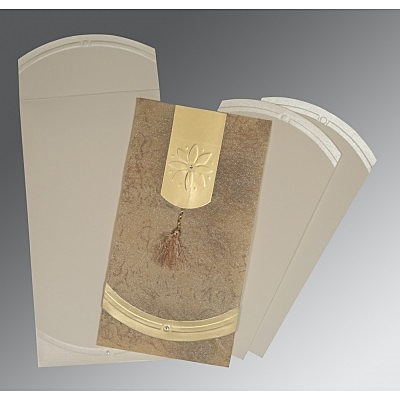 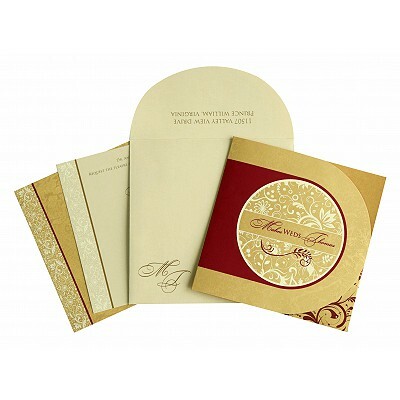 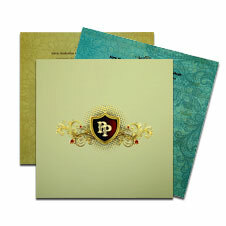 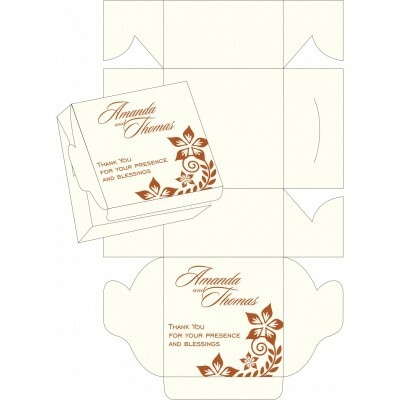 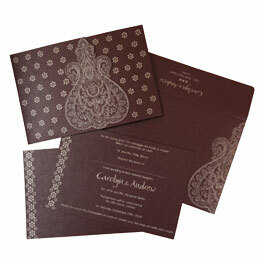 Luxurious foil stamping adds an air of sophistication to our elegant wedding invitation designs. 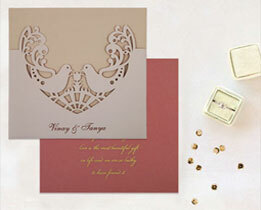 From glamorous gold to classic silver. 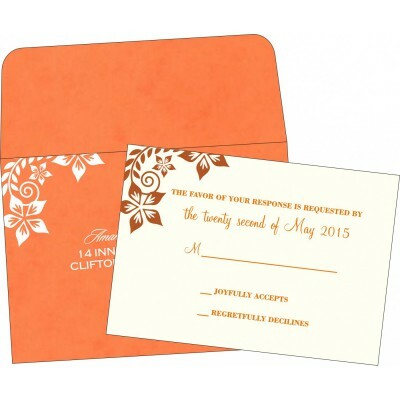 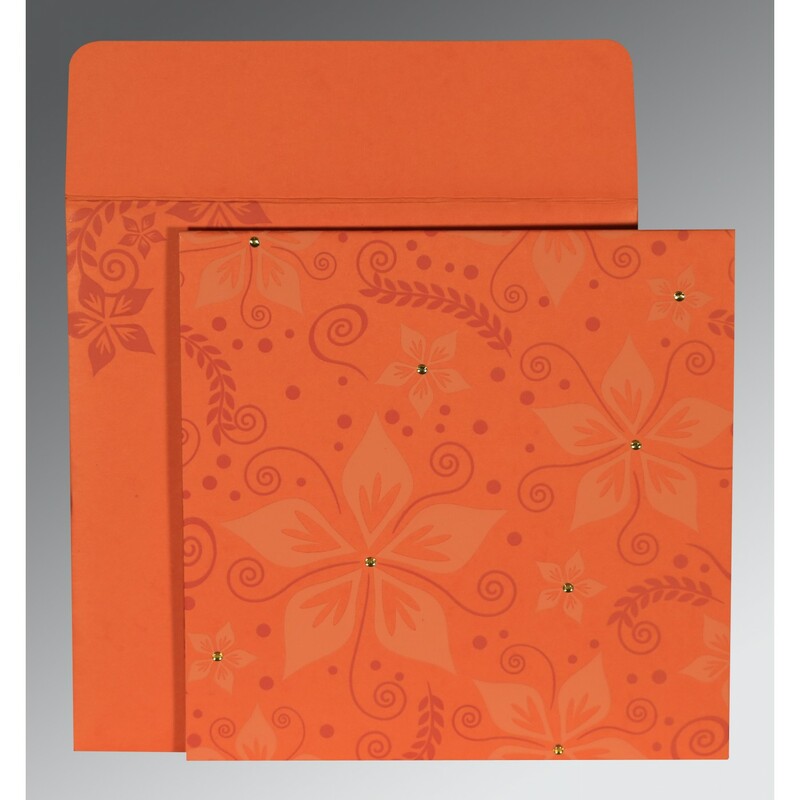 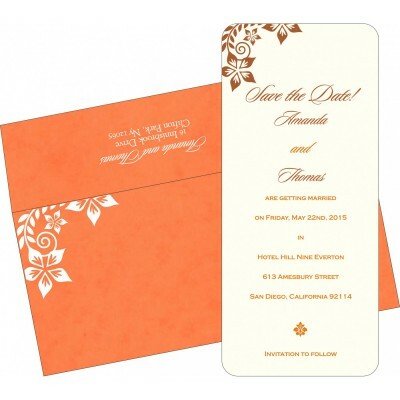 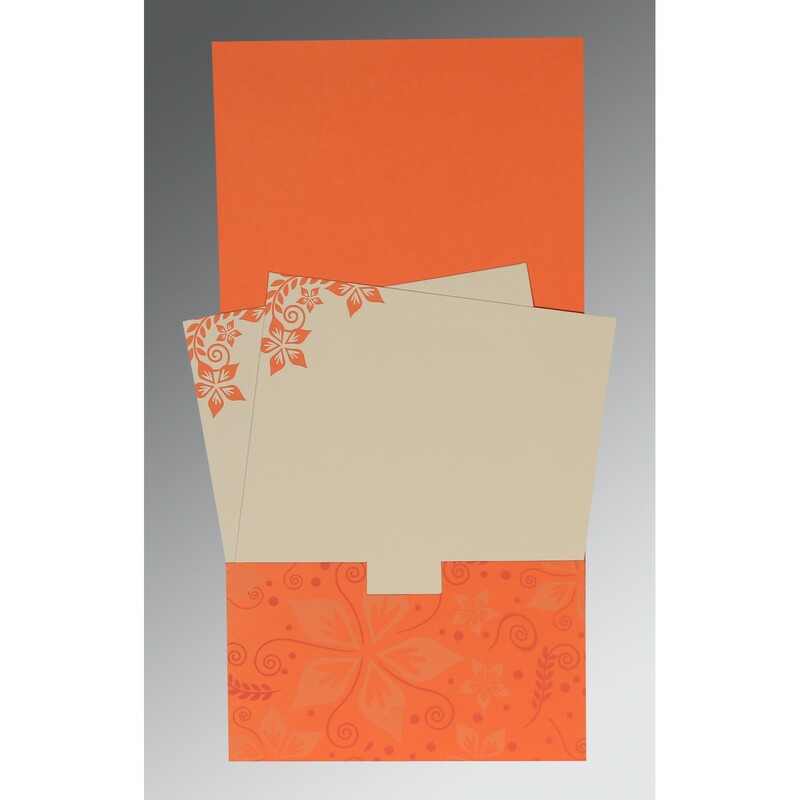 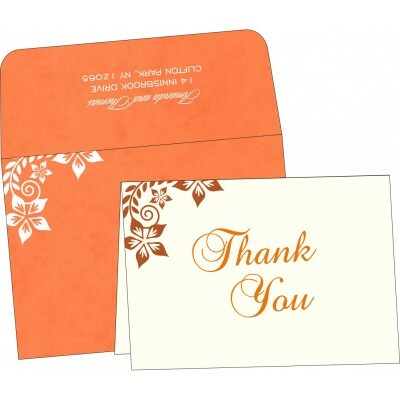 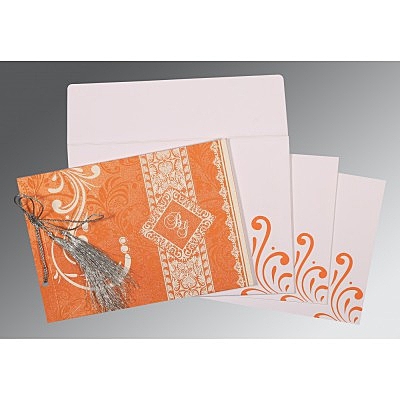 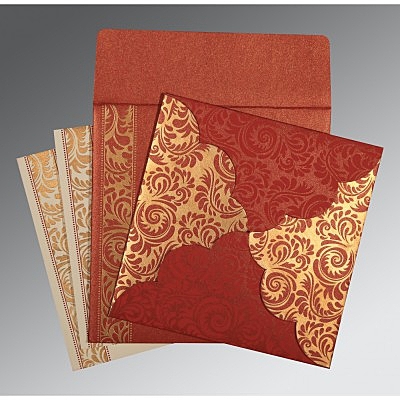 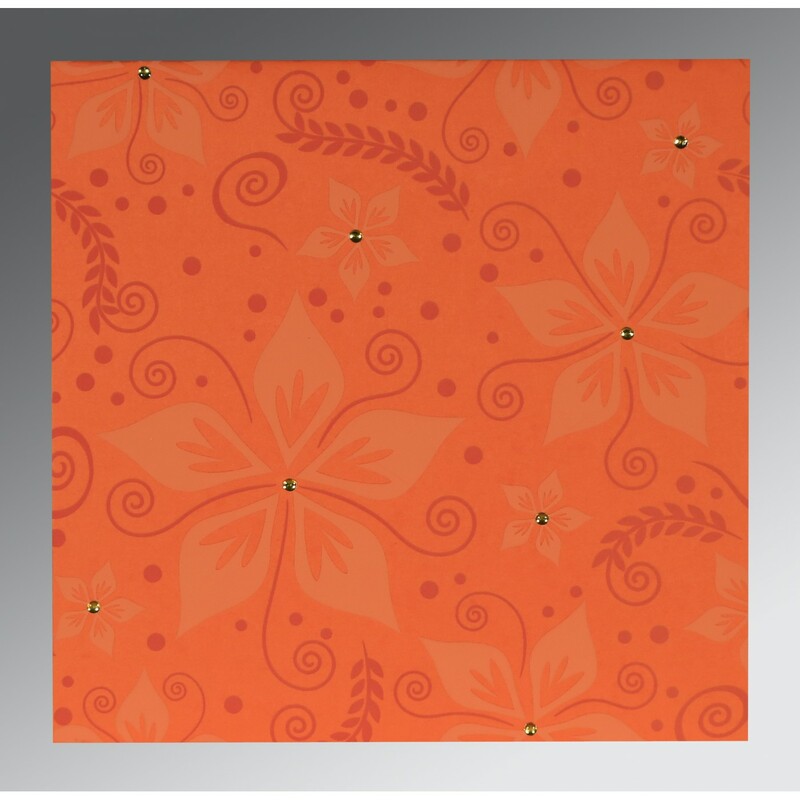 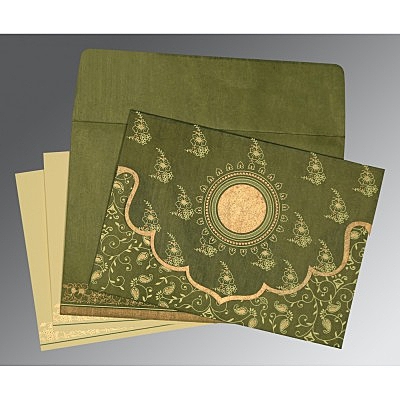 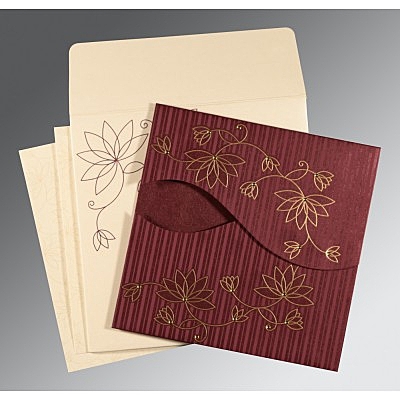 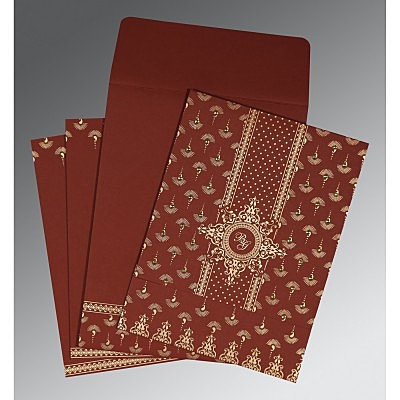 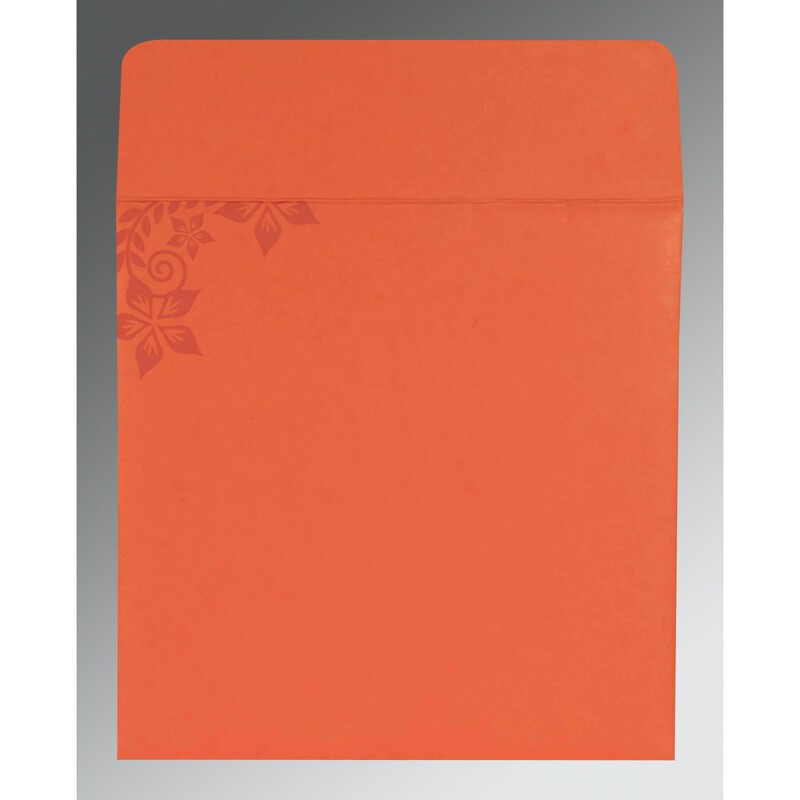 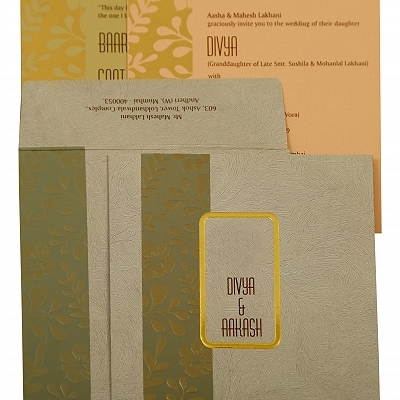 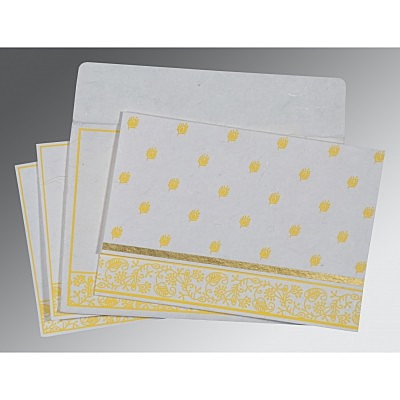 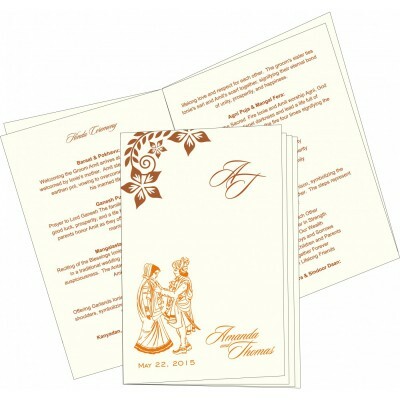 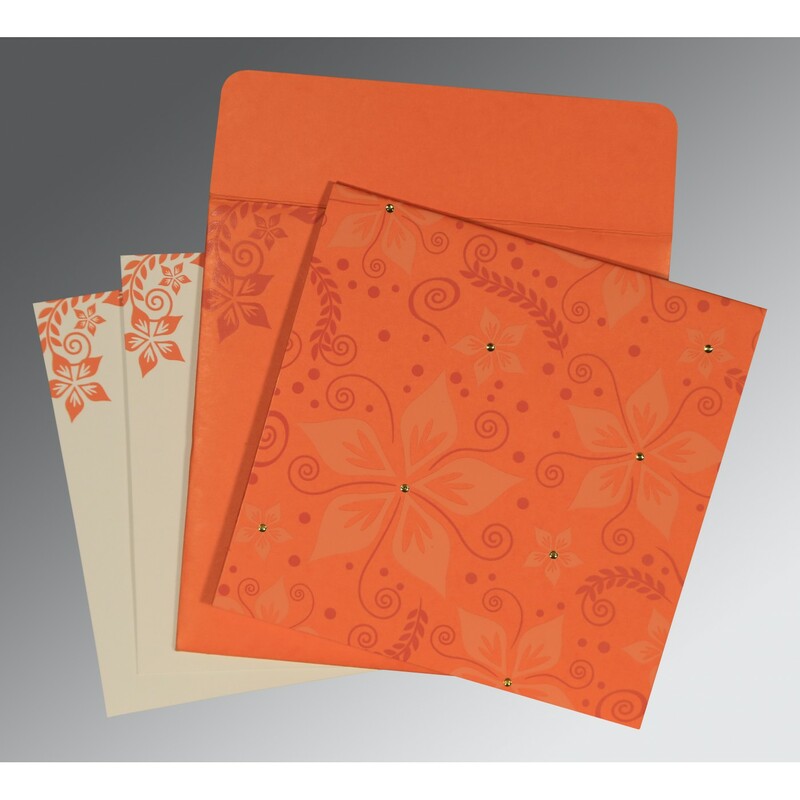 Every bride and groom who are steering away from the standard wedding invites and want to have something eloquent and mesmerizing for their wedding theme need to lay their eyes on this beautiful card emblazoned with motifs, patterns, prints, and colors. 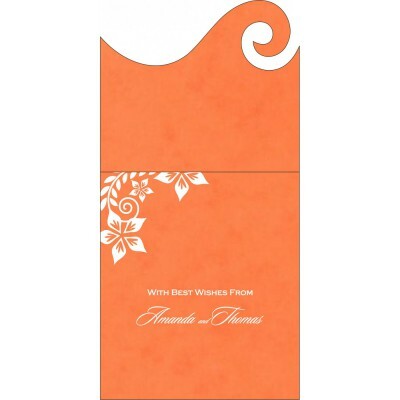 This amusing selection of Designer Wedding Cards Invitations from the house of 123WeddingCards is perfect for all kind of romantic wedding ceremonies and celebrations.